cleaners, medications, plants, and even some foods, can harm our dogs and cats. It is crucial to keep pets away from potential toxins, both inside and outside of the house. Over 90% of pet poisonings reported to poison control centers occur in the home and result from animals ingesting toxic substances. Do not assume that dogs and cats "know" when an item is bad for them. 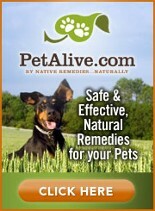 Pets cannot differentiate between harmful and safe substances. As a matter of fact, some of the most deadly substances actually smell good and taste good to pets. emergency animal clinic or an animal poison control hotline IMMEDIATELY. 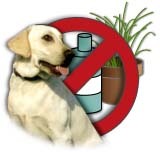 National Animal Poison Control: 800-548-2423; $30 per call. 900-680-0000; $20 for the first 5 minutes, $2.95 each additional minute. University of Illinois Pet Poison Hotline: 217-333-3611. University of Georgia Pet Poison Hotline: 404-542-6751. In a life and death situation when every minute counts for an animal, you can call the ASPCA Animal Poison Control Center for 24-hour emergency information. post them to us & we'll keep this list current. abdominal pain, vomiting, diarrhea, convulsions, coma & disorientation. Apricot & Peach pits; Arrowgrass; Arrowhead; Asparagus Fern; Autumn Crocus; Avocado; Azaleas. Buddist Pine; Buckthorn; Burning Bush; Buttercup. Devil's Ivy; Dicentrea; Dieffenbachia; Dogwood; Dracaena Palm; Dragon Tree; Dumbcane. Ivy & Yew; Eucalyptus; Eunymus; Euphorbia; Evergreen; Exotica Perfection Dieffenbachia. Ferns; Fiddle-leaf Fig; Flax; Florida Beauty; Four o'Clock; Foxglove; Fruit pits; Fruit Salad plant. Impatiens; Indian Laurel; Indian Rubber Plant; Indian Splurge Tree; Iris; Ivy. (Solanum pseudocapsicum); Jessamine; Jimson Weed; Jonquil; Jungle Trumpets. Lily-Of-The-Valley; Lily Spider; Lima Beans; Locoweed; Lobelia; Lords & Ladies; Lupine. Morning Glory; Mother-in-Law; Mountain Laurel; Mushrooms. (Ornamental tobacco); Night Blooming Jasmine; Nightshade; Nutmeg; Nux Vomica. Precatory Bean; Primula; Privet; Purple Foxglove; Pyracantha. Red Angel's Trumpet; Red Emerald; Red Princess; Red-Margined Dracaena; Redwood; Rhododendron; Rhubarb leaves; Ribbon Plant; Rosary Pea; Rosemary; Rubber Plant. Saddle Leaf Philodendron; Sage; Sago Palm; Sandbox Tree; Satin Pothos; Schefflera; Scotch Broom; Shamrock; Silver Pothos; Skunk Cabbage; Snapdragon; Snowdrops; Snow on the Mountain; Soapberry; Solandra; Split Leaf Philodendron; Spotted Dumb Cane; Spurges; Squirrel Corn; Staggerweed; Star Of Bethlehem; String of Pearls/Beads; Striped Dracaena; Sweetheart Ivy; Sweetpea; Swiss Cheese plant. Tree Tobacco; Tropic Snow Dumbcane; True Aloe; Tulip Bulbs; Tung Tree. Variable Dieffenbachia; Variegated Philodendron; Variegated Rubber Plant; Venus Flytrap; Virginia Creeper. Warneckei Dracaena; Water Hemlock; Weeping Fig; Western Yew; Wild Call; Wisteria. Yellow Allamanda & Jasmine; Yew. dog or cat can get to them. can lead to nicotine poisoning. potassium chloride and manganous oxide. digestive tract leading to constipation and cancer. 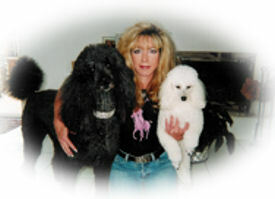 cause liver cancer in dogs and malformations or even death in newborn puppies. rancid fats in the food. Fats in this form are very difficult to digest and can lead to a host of health problems including diarrhea, gas, bad breath and vomiting. coal tar derivatives which have been implicated in anything from cancer to birth defects. Sodium Nitrate – This converts in the body to nitrosamines, which are very carcinogenic. They are added to retain the red colour to make the meat look fresh. Yeah – Right! Thimerosal is a mercury containing preservative used in vaccines. Mercury is a known neurotoxin. do not have the same shelf life, so many companies try to sell the vets on the preserved issues for..
mistletoe on or near the floor, where pets have easy access to them. to a wall or the ceiling to prevent them from falling on pets. in when you are not at home. stagnant and can contain harmful chemicals or bacteria. known to eat tinsel, which can result in intestinal distress.